I wasn’t going to write this review. Someone else was going to have to cover this because I doubted my ability to think objectively due to my deep unconditional love of all things Harry Potter. I needn’t have worried about that. Fantastic Beasts: The Crimes of Grindelwald is the sequel to 2016’s Fantastic Beasts and Where to Find Them. It is also the second prequel to the Harry Potter series written by JK Rowling and directed by David Yates. 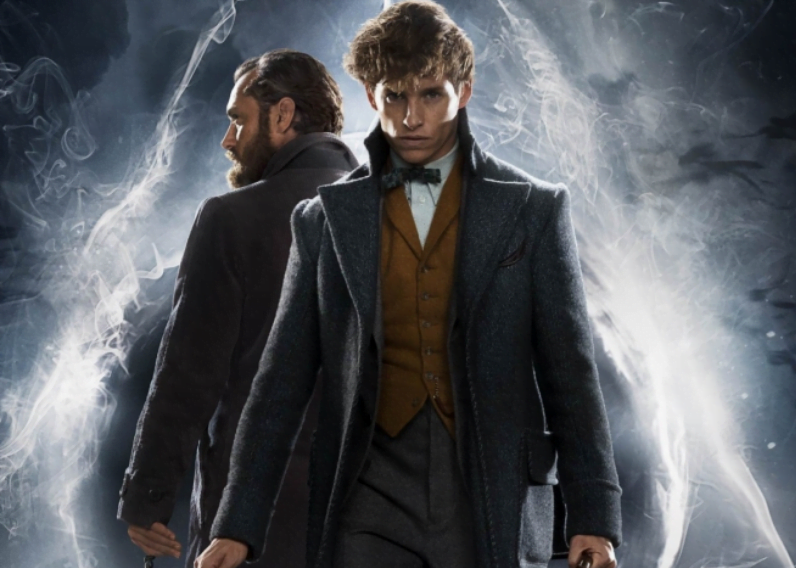 The film follows Newt Scamander, Albus Dumbledore, Credence Barebone and Gellert Grindelwald on their various exploits in Paris as the other characters race to stop Grindelwald’s plot. This movie couldn’t have been in safer hands. Rowling obviously, is to thank for this wonderful universe and Yates has expertly handled every film since Goblet of Fire. Which is why it breaks my heart to call TCoG a sloppily written, confusing, cacophonous clusterbomb containing some things I like. The problem with this film is summarised in the title. It’s evident that the producers couldn’t decide if they wanted to make a Fantastic Beasts franchise or a Grindelwald franchise. The two elements have absolutely nothing to do with each other and result in a flabby script. There are about eight subplots and it’s not clear which one is the main one. The end product comes off more like a Game of Thrones episode than a Fantastic Beasts sequel. I’m sure in the grand scheme of things, Rowling’s five-film-story is being advanced but that’s not an excuse for making a movie that’s unsatisfactory in its own right. Because of this meandering unfocused shuffling of subplots, with half an hour to go, you have no clue what’s happening. The way Rowling resolves this is to have seven characters all meet in the same room and spend 10 minutes explaining the backstory. It’s a truly atrocious information dump which was upsetting to listen to. I’m a massive fan of this and knew all this backstory anyway and I still couldn’t follow it. The shining light in all this is Jude Law as Albus Dumbledore. He’s very whimsical and twinkly with the inner pain that I expect of the character. He’s by far the best live-action Dumbledore and every one of his ten minutes of screen time was a delight. However, while it pains me to admit, I cannot recommend this move in good faith. It’s a 130-minute trailer for the next three films that fails to stand alone as a complete story. Oh, and it’s compulsory of me at this point to point out that I hate Johnny Depp as Grindelwald. If you’re trying to build a character whose main strength is his silver-tongued seductiveness, maybe don’t make him a bleached creepy fop who looks like he fell out of the Hunger Games aristocracy.